ALL OF OUR PROGRAMS ARE FOR ALL GENDERS. In Little Lights, our Kodály-based curriculum builds musicianship through singing games, solfege-training, and rhythm work. Twice a year, we share what we have been learning with friends and family at our Fall and Spring Showcases. Admission: Open until class is full. (Class size limited to 15 students). Tuition: $350/full school year OR $190/half school year. Other costs: 1-time New Student Enrollment Fee, performance t-shirt ($15). In Shine Jr. Chorus, we delve deeper into our Kodály-based musical literacy curriculum while concurrently honing performance skills, developing healthy vocal technique, and discovering the beauty of choral blending and harmonizing. Joyful music-making is the heart and soul of every class. 4 performances per year (Fall and Spring Showcases, plus participation in organization-wide Fall and Spring Concerts). Home practice optional. ​Admission: Open until class is full. (No audition needed). Rehearsals: Sundays, 4-4:45pm Central Lutheran Church (NE 21st + Schuyler). Tuition: $400/full school year OR $215/half school year. Our original ensemble, Shine Chorus is a performance-based program focusing on contemporary pop, rock, folk, and world music. Shine students learn to sing from the heart while building lasting bonds, developing self-confidence, and internalizing a strong sense of identity as a musician. Shine performs at our two organization-wide concerts during the year, as well as at various events and venues throughout the Portland area. ​Home practice and a high level of commitment are expected from all Shine singers. Rehearsals: Sundays, 5-6:30pm Central Lutheran Church (NE 21st + Schuyler). Other costs: 1-time New Student Enrollment Fee ($50), performance t-shirt ($15). 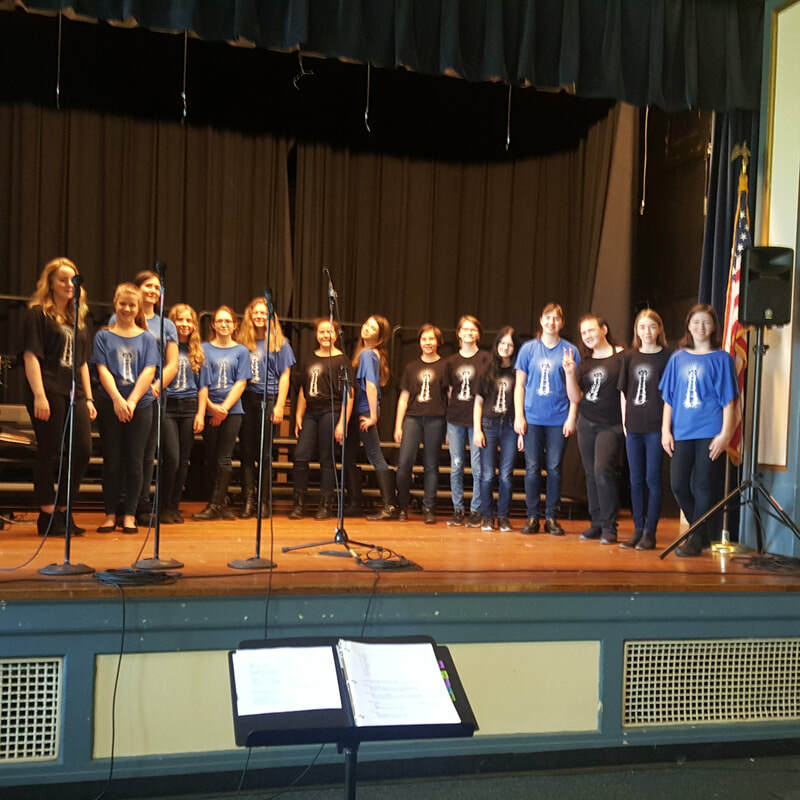 Lighthouse Chorus is a fun-loving ensemble performing advanced arrangements of contemporary pop, rock, indie, folk, musical theater, and world music. In addition to learning and performing a great mix of music, Lighthouse singers also explore creative collaboration and decision-making, and take on real responsibilities that give them a true sense of belonging and agency in the group. Lighthouse performs at our two organization-wide concerts during the year, as well as at various events and venues throughout the Portland area. ​Home practice and a high level of commitment are expected from all Lighthouse singers. Rehearsals: Sundays, 6:30-8:00pm Central Lutheran Church (NE 21st + Schuyler). Other costs: 1-time New Student Enrollment Fee ($50), performance attire ($15-30). and at two local annual high school a cappella competitions. ​Home practice and a high level of commitment are expected from all True North singers. Rehearsals: Mondays, 6-8pm Central Lutheran Church (NE 21st + Schuyler).